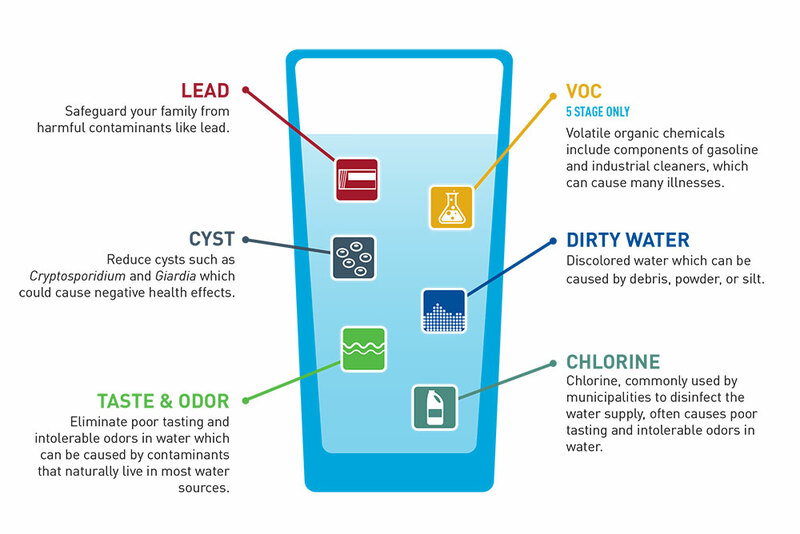 Ethical H2O has partnered with one of the the most reliable and forward thinking U.S. manufacturers to produce our multi-certified, Eco-friendly reverse osmosis. The Eco-475 Reverse Osmosis not only boasts an efficient membrane that reduces water waste by over 50%, it also is multi certified for safety and performance.You can expect a well functioning unit that will clean your water and create delicious, clean water for drinking and cooking. This unit is traditionally hooked up right under the kitchen sink (minimal space required) and a dedicated faucet dispenses the pure water. The Ethical H20 Reverse Osmosis unit will totally transform your tap water into a healthy, delicious, purified drinking water at a fraction of the cost of bottled water that the whole family can enjoy. Roughly 75% of water bottles in the United States are not recycled, producing 22 billion plastic bottles which are added to landfills every year. Plastic bottles will not even begin to decompose for hundreds of years. It costs 5-10 times as much to drink bottled water instead of filtered tap water. 30 million water bottles are consumed daily in the U.S. Only 25% of those are recycled, which contributes to nearly 4 billion pounds of waste annually. GRO-475B, GRO-475M, GRO-575B & GRO-575M Systems Tested and Certified by NSF International against NSF/ANSI Standard 42, 53, 58, and CSA B483.1 for the reduction of the claims specified on the Performance Data Sheet. We'll follow up with further questions and help you order.